Author: Tim Howell, of Offshoot Consulting. Take any scene from popular TV series The Bachelor, and you’ll not only find insights into how interpersonal relationships can evolve, but also learn lessons for companies who are looking to partner. In either scenario, when a relationship is successful, it can help fulfil goals and dreams, can create opportunities and can take you on new adventures. Relationships that don’t work have the opposite effect: they can distract you, slow things down and cause pain and distress – not to mention the cost! For companies, research indicates that between 30-70% of alliances ‘fail’ because: they don’t meet the goals of the companies involved, or they end up not delivering meaningful results. This is comparable with the average divorce rate in New Zealand, where, according to Statistics New Zealand, just over a third of marriages ended in divorce in 2015. So how can you apply lessons from The Bachelor to ensure partnerships succeed for your tech business? Checkpoint #1: Do you really need a relationship right now? People on the show want a relationship, but often for superficial reasons. For many companies, it’s much the same: partnering is a faster and less expensive way to achieve scale than if they were to do it themselves. As a result, many companies look to quickly establish partnerships without taking the time to think about whether it’s the right thing to do – now or in the future. 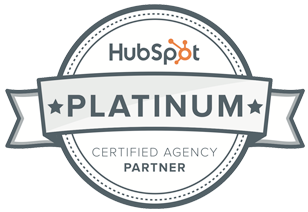 Ask yourself these questions: Is partnering really the best option? Why are we partnering? Would we be better off – in the long run – if we built these capabilities in-house? And, if you fast forward a few years, would forming a partnership lead to your company having a stronger or weaker position in the market? Will it make you more competitive? Checkpoint #2: What do you want out of the relationship? As The Bachelor series progresses, more and more questions are asked of the contestants about what they want out of a relationship. Again, in business the same principles apply. Partnerships can be put in place for many reasons: to help attack new markets, address weaknesses in a capability, or to simply piggyback off a more well-known brand for “legitimacy” or marketing purposes. Before signing up to a partnership, you need to be aware of why you’re doing it: What does success look like? Often companies pursue a partnership, sign up, and then realise that no one had taken the time to work through what both sides want from the arrangements and how that fits into the broader strategy for the company. If this clarity doesn’t exist, then the partnership is less likely to succeed – it simply won’t get the focus or prioritisation it needs. Take the time to understand the rationale behind the partnership and be honest about why you want to partner, what you’ll get out of it, and what measurable outcomes will constitute success. Checkpoint #3: Are you really compatible? The cliché “don’t judge a book by its cover” is just as true in the business world as it is on The Bachelor. It’s easy to get seduced by a partner with a well-known brand, or that operates at a much larger scale – after all, wouldn’t a partnership with an industry leader or household brand be immediately lucrative to a business like yours? Often the answer is no: while there may be potential to drive a financial return, there are many other factors that have to be taken into consideration to realise those returns. How you align in areas such as company culture, corporate strategy, governance, attitudes towards collaboration, and a willingness to trust each other all play a part in terms of getting any kind of traction. Similar to the above point about knowing what success looks like, it’s important you look at how compatible you may be with a partner. Every business has different motivations, and larger businesses are often prepared to play a numbers game in order to hit KPIs; in other words, they may be looking to partner with many companies, and not looking to form quality relationships. Conversely smaller, more hungry and reliant firms are more likely to need the partnership to work. Checkpoint #4: Do you both get something out of the partnership? Any relationship works best when both parties get something out of it. It’s the same in business. For companies, they gain capabilities that they would otherwise not have had, or that would have taken time or cost money to establish. In an ideal relationship, the value swap needs to be proportionate, with each party believing that the return it gets is greater than what it has had to invest. This doesn’t always have to be the case, but generally it’s important for both sides to receive a tangible benefit. A common reason for this not to eventuate is when one partner is larger or stronger than the other. If the larger partner is benefitting less, then its interest in developing the partnership might fade, putting more pressure on the smaller – or weaker – partner, who may be more reliant on the partnership succeeding. If both partners are weak, this isn’t ideal either – their respective weaknesses could cause instability, distraction or generally impact the overall feasibility of the partnership. Make sure you understand not only what you want – and might get – out of the partnership, but also what your partner gets, too. If the benefits to either party are lopsided, maybe you need to re-evaluate? Checkpoint #5: Are you both in it for the long haul? When The Bachelor is over, whoever wins will need to see if they can transition from being a couple on the show, to being in a longer-term relationship. In life and in business, this can be the sternest test. When a partnership has gotten off to a great start, with a solid strategy and mutually beneficial outcomes, this is just the beginning of the journey. The next challenge is working on the relationship for the longer-term and, particularly for smaller companies, working to maintain mindshare with the other partner. While you may be the shiny new thing today, it may only be a matter of time until you get usurped by someone shinier. Take the time getting to know your partner, making sure you know how they work and what success looks like for them – and not forgetting what it looks like for you, too. Invest in helping the partner succeed, build relationships with key people across the organisation, and deliver tools and resources that help make it easy for them to achieve their goals. By working hard at developing the relationship, and helping them succeed, you’ll get the mindshare that will bode well for continued success. In work as in life, successful partnerships don’t happen by accident: they require effort, consistently. From the time you’re initially courting a partner, through engaging with them and conducting appropriate due diligence, you will increase your likelihood of identifying a partner that is aligned to your organisation, its culture and strategic objectives. Don’t rush; take the time to understand what success looks like for both of you. Any partnership should recognise your strengths, ideally creating a win-win situation, and establish an ongoing rhythm of engagement that helps to ensure a healthy relationship. Sometimes one partner may be enough, but the same principles apply if you look at more than one partner - often required as you look to scale and grow further capability. Whether you’re looking for “the one” or not, partnerships can be incredibly worthwhile, creating value for all parties that may not have previously been imagined. Just as every contestant in The Bachelor hopes they will find their partner, the same principles apply to business: by planning your partnerships carefully, taking the time and effort to nurture them, they will be around for the long-haul. 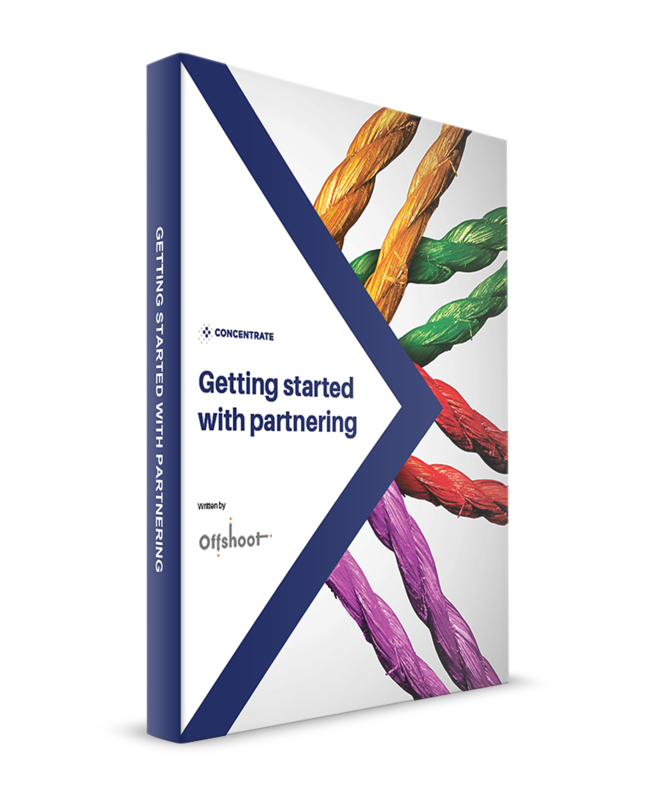 Download our latest ebook ‘Getting started with partnering’, produced by Concentrate in conjunction with hi-tech marketing leader Tim Howell of Offshoot Consulting. You can also register for our webinar on the subject being held on 3 May 2017.